Col. Edmund Reade was baptized on 23 May 1563 at Wickford, Essex, England. His parents were William READE and Martha CHURCH. He married Thomasin Wallenger on 14 Aug 1592. After Thomasin died, he married Elizabeth COOKE in 1594 at Pebmarsh, Essex, England. Edmund died on 1 Dec 1623 at Wickford, Essex, England, at age 60. Thomasin Wallenger was born 1563 in Pebmarsh, Essex, England. Thomasin died 7 Dec 1592 in Wickford, Essex, England. Elizabeth Cooke was born on 2 July 1568 at Pemmersley, Essex, England. Her parents were Thomas COOKE and Susan BRAND. After Edmund died, she married Rev. Hugh Peters about 1625 in England. Elizabeth died in 1637 in Wickford, Essex, England. Rev. Hugh Peters (Wiki) was baptized on 29 June 1598 in Fowey, Cornwall, England. His parents were Thomas Dirkwood and Martha Teffrey. Hugh was educated at Cambridge and became a devout Puritan around 1620. He was ordained into the Anglican church in June 1623. Under the patronage of the Earl of Warwick, he became curate at Rayleigh in Essex. Around 1625, Peter married Elizabeth READE, a widow much older than himself, with adult children. Peter also preached regularly at the church of St Sepulchre in London, but had his license to preach revoked and was imprisoned for six months after leading his congregation in praying for Queen Henrietta Maria to forsake her idolatrous Catholicism. He moved to the Netherlands and in 1633 became a pastor at Rotterdam until pressure was put upon the English churches in the Netherlands to conform to the doctrines espoused by Archbishop Laud. In July 1635, Peter and Elizabeth accompanied Sir Henry Vane to New England, along with his stepdaughter Elizabeth and her new husband John Winthrop (1606-76). Peter became minister at Salem, Massachusetts, in December 1636. Although he became involved in religious disputes against Vane, Peter proved to be a popular minister. He was involved in the civil administration of Salem and became one of the first governors of Harvard College. He took a leading part in the affairs of the colony, and interested himself in the founding of the new colony in Connecticut. After Elizabeth died, he married Deliverance Sheffield on 2 Jan 1639/40. He returned to England in 1641 as an agent of the Massachusetts government, but became active in supporting Parliament against the King in the expectation of securing a godly reformation of the English church. Peter was a chaplain in the Earl of Essex’s army and in the New Model, where his services were valued by Cromwell and Fairfax. His preaching inspired the soldiers and drew many recruits to the cause. Peter frequently acted as an Army spokesman at Westminster both in delivering reports and in requesting money or aid. Many of his reports were published, and he was a prolific writer of accounts of the actions he saw on campaign. Peter intended returning to America with the ending of the First Civil War, but he became involved in the struggle between the Army and the Presbyterians in 1647. He championed the Independents in the Army and supported the soldiers’ refusal to disband. During the Second Civil War, he accompanied Cromwell on his campaign in Wales and at the battle of Preston, after which he was present at the capture of the Duke of Hamilton. Peter was one of the few clergymen to support the Army’s occupation of London and Pride’s Purge, which led to the trial and execution of King Charles in 1649. He fell ill and did not attend the execution but his absence resulted in a persistent rumour that he was the masked executioner who had beheaded the King. During Cromwell’s invasion of Ireland in 1649, Peter was given the honorary rank of colonel and was responsible for managing the transportation of men and supplies across the Irish Sea. After another period of illness, he was appointed governor of Milford Haven and worked closely with the Commission for the Propagation of the Gospel in Wales. Peter remained active in public affairs throughout the Commonwealth. He was appointed chaplain to the Council of State in 1650 and had influence on various committees concerned with religious, legal and social reform. Hugh eventually became Cromwell’s chaplain. He preached to the soldiers after Cromwell’s great victory at the battle of Worcester in 1651. Despite his misgivings regarding the establishment of the Protectorate, Peter remained loyal to Cromwell. His participation in affairs of state declined during the 1650s, partly due to ill health, though he was invited to Dunkirk after its capture in 1658 to assist in the spreading of Protestantism in Flanders. Peter’s last great public act was to preach Oliver Cromwell’s funeral sermon in November 1658 on the text Joshua 1:2, “Moses my servant is dead”. Although he had played no direct role in the trial and execution of King Charles I, Peter’s reputation and strong association with the Cromwellian régime resulted in his arrest at the Restoration on charges of treason. 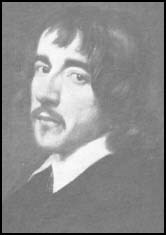 Almost universally reviled, he was hanged, drawn and quartered at Charing Cross on 16 October 1660. He behaved with great fortitude, and was undismayed by the mangling of the body of John Cook, his fellow sufferer, upon which he was forced to look. During his final imprisonment, he wrote A Dying Father’s Last Legacy to an Onely Child to his only child, Elizabeth, who had visited him every day in prison, in which he gave a narrative of his career. His death was viewed with greater rejoicings than perhaps attended that of any of the regicides, which is the more surprising as Peters possessed many amiable qualities, and several acts of kindness performed by him on behalf of individual Royalists are recorded. But he had incurred great unpopularity by his unrestrained speech and extreme activity in the cause. He was a man, however, of a rough, coarse nature, without tact or refinement, of strong animal spirits, undeterred by difficulties which beset men of higher mental capacity, whose energies often outran his discretion, intent upon the realities of life and the practical side of religion. His conception of religious controversy, that all differences could be avoided if ministers could only pray together and live together, is highly characteristic, and shows the largeness of his personal sympathies and at the same time the limits of his intellectual imagination. Hugh was the subject of a 1981 television play A Last Visitor for Mr. Hugh Peter. It showed him the night before his execution, where he is visited by various figures from his past and the future. Hugh was played by Peter Vaughan who at the age of 89 plays Maester Aemon in HBO’s Game of Thrones. Read more about Hugh Peters,”the most slandered man of his time”, here in Eccentric Preachers. 11 Aug 1643 Saint Matthew, Friday St., London, Middlesex, England 1662 at Wickford, Essex, England. 11. Elizabeth Reade 17 Nov 1614 at Wickford, Essex, England. John Winthrop Jr.
Edmund’s father William READ was born 11 Mar 1538/39 in Wickford, Essex, England; William died 19 Jul 1603 in Wickford, Essex, England. He was the son of Roger READE and Elizabeth [__?__]. He married Martha CHURCH bef. 1563 in Wickford, Essex, England. Edmund’s mother Martha CHURCH was born 1541 in Runwell, Essex, England; Martha died 16 Dec 1577 in Wickford, Essex, England.. She was the daughter of John CHURCH and Margaret WISEMAN. Edmund’s paternal grandfather Roger READE was born 1517 in Wickford, Essex, England; Roger died 17 Mar 1558/59 in Wickford, Essex, England. He was the son of William READE. He married Elizabeth [__?__]. Edmund’s paternal grandmother Elizabeth [__?__], born ~ 1512 in Wickford, Essex, England; Elizabeth died in Pebmash, Essex, England. Edmund’s maternal grandfather John CHURCH was born ~1520 in Runwell, Essex, England; John died 20 Apr 1577 in Runwell, Essex, England. He married Margaret WISEMAN ~1540 in Runwell, Essex, England. Edmund’s maternal grandmother Margaret WISEMAN was born ~1525 in Runwell, Essex, England; Margaert died July 1585 in Runwell, Essex, England. FATHER OF MADAME MARGARET LAKE. Edmand Read’s Last Will and Testament, November ye 20th, 1623. In ye name of God, Amen; ye 20th daye of November in ye yeare of our Lord, one thousand six hundred and twenty-three. Item–I give and bequeth unto ye poore of Wickford twenty shillings of lawful english money, to be payd to ym by my executors [sic.] within one month after my dicease. Item–I give and bequeth unto John Weald, my servant, five pounds of lawfull english money to be payde to him within one yeare after my dicease. Item–I give and bequeth unto every one of my other servants two shillings a piece to be payde to ym within one moneth after my dicease. Item–I give and bequeth unto William Reade, my son, and to my daughter Reade, forty shillings apeece, to bye them rings. Item–I give and bequeth unto Elizabeth, my loving wife, all those leases which I have of Mr. Edward Lyliarde and Mr. George White, and alsoe ye messages and tenements or lands thereunto belonging which I lately purchased of Mr. Cockerum, now in tenor and occupation of John Tyle or his assignes, for and during ye terme of her naturall life; and after her dicease I give and bequeth all ye said leases, messages or tenements and ye lands above spesifyed unto William Reade, my son, upon ye condition that he ye said William, my son, shall paye unto my son, Thomas Reade, within foure score dayes after ye dicease of my said loving wife, if he, ye said Thomas, be then living, ye full sum of 240 pounds of lawfull english money; and if my said son William shall refuse to enter into bond to my said son, Thomas Reade, shall presently after ye dicease of my said loving wife, enter into ye aforesaid leases and lands and allsoe into ye aforesaid messages or tenements with ye apertinances and lands theireunto belonging, to have and enjoye to him ye said Thomas Reade or ye eyres of his body lawfully begotten, and for want of such issue yn to remayne to my son William Reade and his eyres for ever. Item–I give and bequeth unto Samuell, my second son, and to ye eyres of of his body lawfully begotten, that my message or teniment with ye appertinances and lands theireunto belonging, called or knowne by ye of name of Sopers or by whatsoever name or names ye same be called or knowne, now in tenor or occupation of George Ballard or his assignes; and if ye said Samuell, my son, shall fortune to depart ye life without eyres of his body lawfully begotten, then my minde and will is that Thomas, my aforesaid son, shall enter into ye messages and lands aforesaid to have and enjoye them, to him or ye eyres of his body lawfully begotten, and for want of such issue unto William Reade, my said son, and to his eyres forever; provided, allwayes that if ye said message or teniment and lands theirunto belonging called Sopers herein and hereby formerly given and bequethed unto Samuell, my son, shall happen to come to William, my son in maner and forme as aforesaide; yn I will yt my said son William shall within one month yn next enter into bond to my executor [sic] herein and hereby nominated (If she be yn living) or otherwise to ye overseers of this my last Will and Testament herein nominated, in ye Penall som of £600 with condition to paye £300 lawfull english money in maner and forme following (that is to saye) unto John Lake and Anna Lake, two of my Grand Children, £50 apiece; and to Daniell Epps and to Elizabeth Epps, two other of my Grand Children, £50 apieece, and to Elizabeth, my daughter, £100 of lawfull english money within one yeare next after ye sayd message or teniment and ye land theireunto belonging, called Soppers, shall happen to come to my sd son William, shall refuse to enter bond in maner and forme as aforesaide, then I will yt all those messages lands and teniments called Sopers, shall be and remayne unto my aforesaide Grand Children of all my daughters and to Elizabeth, my youngest daughter, equally, to be devided amongst ym, and if my sd Grand Children shall happen to dye before, sd Legacye shall ineur to my two daughters ye mothers, and Provided allso yt if Samuell, my son happen to depart this life without issue of his body lawfully begotten, and that Thomas, my son, enjoye ye sayd lands and teniments aforesaid and to him in and by this my last will and testament bequethed, then my minde and will is that those leases, land and messages with ye lands thereunto belonging, which is before given unto my saide son Thomas, shall presently ineur and come to my saide son William Reade, and to his eyres for ever, without paying ye foresaide son William Reade and to his eyres ye foresaid sum of £240 unto Thomas Reade, my son, or any part thereof in manner and forme as is aforesaide. Item–I give and bequeth unto my said Loving Wife ye lease of Freame and all ye time and terme to come and unexpired for and towards ye mayntenance and education and bringing up of Thomas, my third son. Item–I give and bequeth unto my son-in-law, John Lake, and to my Daughter Margrett Lake, forty shillings apiece to make ym rings, and to John Lake and Anna Lake, theire children, 20 shillings apiece. Item–I give and bequeth unto Daniel Epps and Martha Epps, my daughter, 40 shillings apeece to make ym rings, and to Elizabeth Epps and Daniell Epps, theire children, 20 shillings apiece. Item–I give and bequeth unto Elizabeth, my Daughter, £200 of lawfull money of England, to be paide unto her at her full age of 20 yeares. Item–I give and bequeth unto my brother, John Reade, ye sum of five pounds to be payde to him within one whole year next after my dicease. Item–I give and bequeth unto my son, William, my young graye guilding now in ye custodye of my kinsman, John Reede; all ye Resideu of my goods, chattells and moveables whatsoever I giev and bequeath unto Elizabeth, my said Loving Wife, who I make and ordayne my sole executrix of this my last will and testament; and I doe nominate and appoynt James Lawrence of Clifford’s Inn, Gentillman, and John Reade of Pilsage, my kinsman overseers, of this my last will and testament, and doe hereby give ym thre pound six shillings and eight pence, to be payde to ym by my saide executrix, Intreating ym to be ayding and assisting my said loving Wife, to se this my last Will and Testiment duly and truly executed and performed according to my intent and true meaning herein and hereby set downe and declared. In witness, &c., this 20th daye of November, in the 21st yeare of ye King’s Majestye’s raigne, that now is and in Anno Domini, 1623. EDMAND READE. Margaret’s husband John Lake was born 26 Sep 1590 in Normantown, Yorkshire, England. His parents were John Lake and Elizabeth Sandell. John died between between 1657 and 1661 in England. John’s father John Lake Sr. was born abt 1565 in England and died abt 10 Dec 1612 in North Benfleet, Essex, England. He married Elizabeth Sandell abt 1589. Elizabeth was the daughter of John Sandell. John Sr. inherited manors of Great Fanton and Bonevilles in North Benfleet. He also acquired from his wife’s nephew, John Sandell, “all that manor of Little Barnstable hall alias Basildon Hall. . . with all the lands thereunto belonging. . . also three crofts containing forty acres called Sawyers in Basildon and two other parcels of land called Hockleys and Undermunds in Vange” for the sum of L1,121. 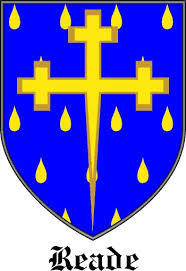 John Sr. was buried at North Benfleet 10 Dec 1612 and proved January 30, 1612. At the time of her death Elizabeth Sandell was living with her daughter Mrs. Paschall at Nevendon, and was buried at North Benfleet 4 May 1616. Her will, dated May 1, was proved June 3, 1616. She gave small sums to the poor of Basildon, North Benfleet and Nevendon. To her grandchildren and her servants Richard Woodley, Dorothy Sworder and John Wood. Larger sums went to her daughters Elizabeth Paschall and “my best gowne”, Sybil Benton, Tamsen Lake and Anna Lake, Anna’s legacy to be paid to her son john who was to care for her education between the ages of 16 and 18. It has been widely speculated that John Lake was descended from Lancelot Lake, whose line supposedly extends back to William the Conqueror. This misconception is based upon the work of one genealogist who attempted to follow the Lake lineage back to Adam and Eve. Researchers should note that this work has been thoroughly discredited. The fact that the Lake family lived on a property in Wickford, England called “The Great Fanton Hall” might conjure images of castles or great estates. In reality, “The Great Fanton Hall” was merely a large farm, despite its impressive name. Family historians should note that to date no document has been found that connects this Lake family to lines of royalty. John and Margaret had nine children Daniel, Thomas was baptized 18 Jan 1619 in Wickford, Essex, England, and Richard were baptized 21 May 1620 in Wickford. The next three children were born at North Benfleet, Essex, England, Hannah 3 July 1621, Elizabeth 5 June 1623 who died 31 August 1623, and Martha born and baptized 20 July 1624. Samuel Lake died 19 Mar 1630, and Elizabeth was bap 17 Feb 1631. Then John Lake III was christened 6 July 1626 in Wickford, Essex, England, however John was born in 1617. John and Margaret’s children were baptized at adjoining parishes in Essex, Wickford and North Benfleet. It is possible that they lived in the same home or home close by each other while having their children. 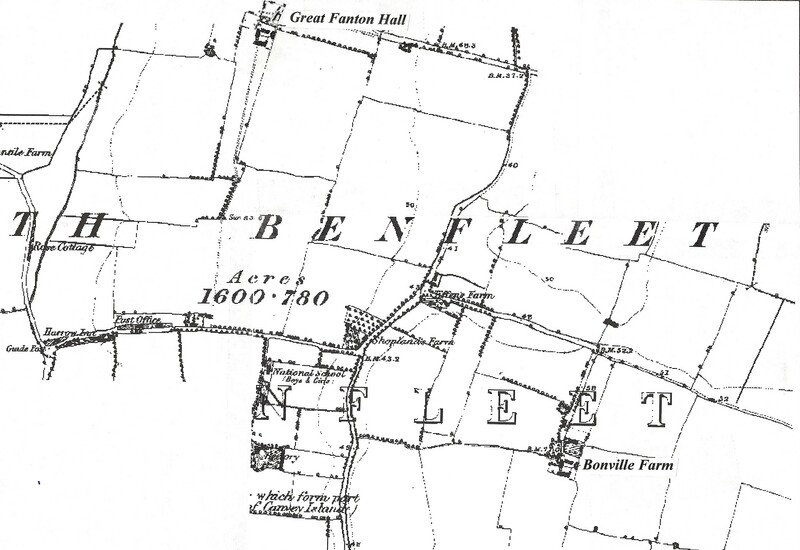 The Lake family farm was called Great Fanton Hall was a large farm and was very close to Wickford but part of North Benfleet in earlier times. Today, the main east/west road south of Wickford is called A127 Fanton Hall Farm/Arterial Rd. 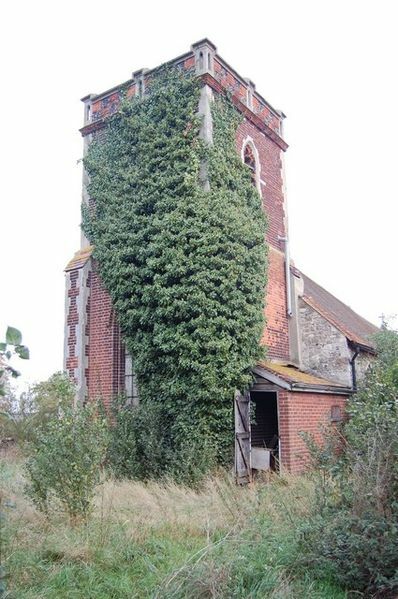 North Benfleet Church – The Church of All Saints, is to the north of the village, nearly 2 miles off the main road. However, it has fallen into a state of disrepair and is not currently in use. John and Margaret have baffled genealogists for years. Theirs is a hard situation to understand. Margaret left England for New England on the Abigail with her two living daughters Hannah and Martha and her sister Elizabeth Reade Winthrop and arrived in Boston Harbor on Oct 6, 1635. Her son John Lake III came to America on the Expedition arriving a month later, 20 Nov 1635. John Lake did not come to New England. He may not have adhered so strongly to the Puritan ideas of reform; or, perhaps, as suggested from excerpts from Winthrop letters, his health at the time may not have been up the the arduous journey and hardships in the colony. A letter Margaret wrote to John Winthrop when he was in England to contact her sister Breadcale of Lee, Essex. From this it was not hard to see that her husband, John Lake was a member of a family seated for several generations at Great Fanton Hall, North Benfleet, Essex. Although they held several Essex manors, the Lakes appear to have been of the rank of yeomen, or, at best, minor gentry, and there is not evidence at the College of Arms or in the Visitations of Essex that they were entitled to coat armor. Great Fanton Hall, a large farmhouse of no architectural pretension, was still standing in 1925, although threatened, on the London side, by the on-coming tide of suburban bungalows. Wickford has become a commuter town, serving the City of London through its direct connection to Liverpool Street through the Southend Victoria line, where a train to London takes approximately 40 minutes. In 18 Jan 1661/62 Mrs. Lake wrote from Wenham, Mass. To her brother-in-law, Governor Winthrop, who was in London; “Might I not bee to troublesome to you I would have desired yors. To have done mee yt courtesy as to have inquired concerning my husbands death, & how hee ended his dayes, as also to have inquired o my cousen Thomas Cooke, whether hee knew whether their was any thing left mee or no . . . I would desire you in quire whether my sister Breadcale who dwells in Lee, in Essex, bee liveing. You may heare of her, if living, at Irongate where boats weekly come from Lee. No will of John Lake has been found. His widow in her will, dated 30 Aug 1672, left her property to her daughters Hannah Gallop and Martha Harris, and to her grandchildren. For many years, Margaret lived with the family of her brother-in-law, Gov. Winthrop, at New London, CT, and she is mentioned repeatedly in the Winthrop family correspondence. In the last decade of her life, she lived at Ipswich, Mass, with her daughter, Martha (Lake) Harris, and of her brother-in-law, Deputy Gov. Samuel Symonds. Margaret died between 30 Aug 1672 and 24 Sep 1672 at Ipswich, Essex, Mass. William’s wife Anne Alleyn was born 1608 in Braughen, Hertfordshire, England. Her parents were Thomas Allyen and Jane Laventhorp. Anne died 14 Nov 1639 in England. Thomas’ wife Priscilla Bankes was born 31 Jan 1612/13 in Kent, England. Her parents were John Banks and Mary Fisher. Priscilla died after 25 Jul 1662 in England. Thomas immigrated in 1630 to Salem, Mass. He returned to England in 1634 (John Endicott to John Winthrop Jr., 8 Dec 1634: “I have given order to Thomas Read, who is now in England …” Thomas Read is in the list of Salem church members compiled late in 1636, with the later annotation “removed”; admission to Salem church prior to 1 April 1634 implied by freemanship. 16 Feb 1635/36 – After some considerable discussion, it was agreed that Mr. Thomas Reade should have a farm of three hundred acres. 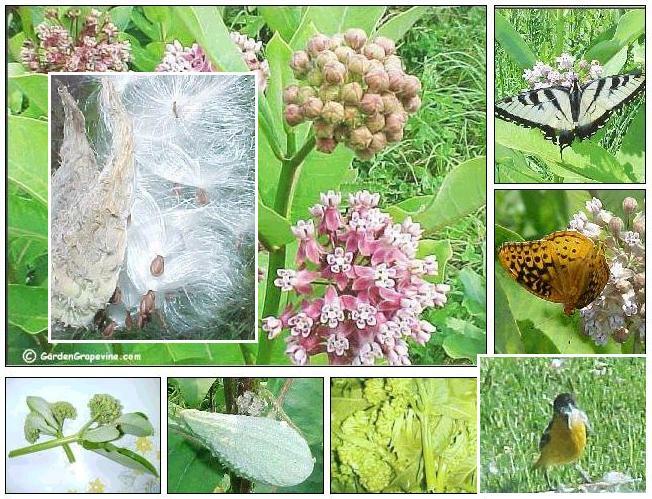 In the division of marsh and meadow on 25 Dec 1637 he had half an acre for a household of three [STR 1:102]. Thomas returned to England and served in Cromwell’s army. Elizabeth’s husband John Winthrop Jr. (wiki) was born on 12 Feb 1606 at Groton Manor, Suffolk, England. His parents were John Winthrop Sr and Mary Forth. He first married 8 Feb 1630/31 his cousin Martha Fones. John died on 5 Apr 1676 at Groton, New London, Connecticut, at age 70. John was first educated at the Bury St Edmunds grammar school. He was sent to Trinity College in Dublin, Ireland, for a general education. Two years later, he returned to England and studied law at the Inner Temple, London until 1627, when he went to sea, first to France as a secretary to the Duke of Buckingham for the relief of the Protestants of La Rochelle, then to Turkey, Italy, and Holland as a regular traveler. When he came home to England in August of 1629, he found that his father was preparing to leave for America as the governor of the Massachusetts Bay Colony. His father left in the spring of 1630, and John stayed behind to care for his stepmother, Margaret (Tyndal) Winthrop, and the Winthrop children, as well as his father’s businesses. On 8 Feb 1630/31, he married his cousin Martha Fones, daughter of Thomas Fones and Anne Winthrop of London. Some of their correspondence after marriage was in code, and not deciphered until almost three centuries later. Late in August of 1631, John, his wife, and the other Winthrops left for Boston. The group arrived in October 1631, and in December, John Winthrop, Jr. was elected as an Assistant to the Massachusetts Bay Colony. 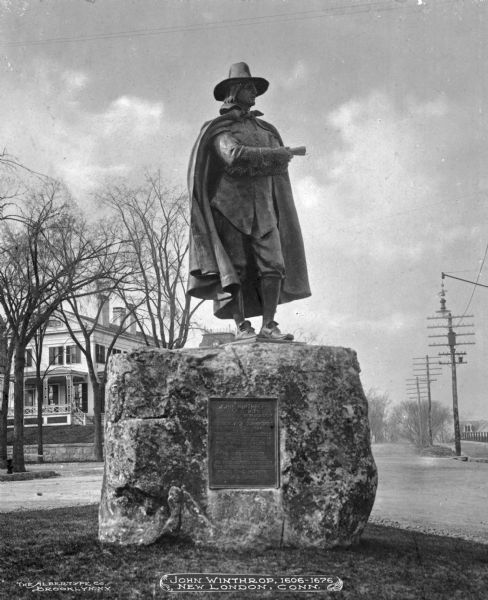 In March 1633 was the chief founder of Agawam (now Ipswich, Mass) . His wife and infant daughter died there in the summer of 1634, at which time he returned to England to visit friends. There, on July 6, 1635, he married Elizabeth Reade, daughter of Edmund READE of Wickford, Co. Essex. The following year returned as governor of the lands granted to the Lords Say and Sele and Brooke sending out the party which built the fort at Saybrook at the mouth of the Connecticut River. He then lived for a time in Massachusetts where he devoted himself to the study of science and attempted to interest the settlers in the development of the colony’s mineral resources. He was one of the “assistants” of the Massachusetts Bay Colony in 1635, 1640 and 1641, and from 1644 to 1649.. He was again in England in 1641–1643, and on his return established iron works at Lynn and Braintree, Massachusetts. In 1645 he obtained a title to lands in southeastern Connecticut and founded there in 1646 what is now New London, whither he removed in 1650. 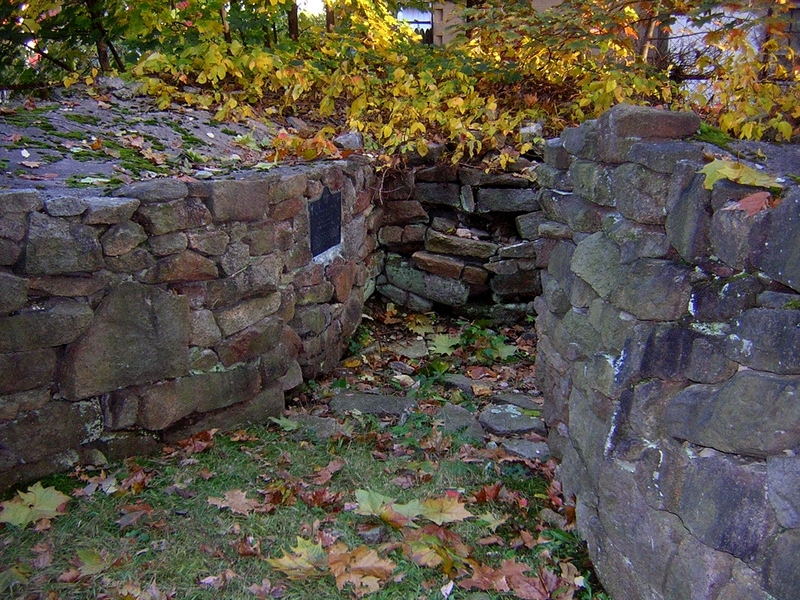 In 1650 Winthrop built a grist mill in the town and was granted a monopoly on the trade for as long as he or his heirs maintained the mill. This was one of the first monopolies granted in New England. He became one of the magistrates of the Connecticut Colony in 1651. 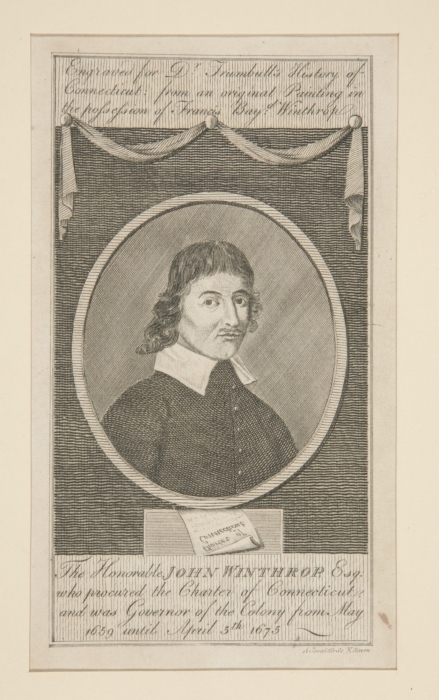 1645 – Thomas MINER joined John Winthrop Jr.’s colony of Massachusetts Puritans in the settlement of New London, CT. During the years that Thomas lived in New London, his son Mannassah and his daughters Ann and Mary were born. Manassah was the first white child born in New London. 1. The inhabitants were exempted from all public country charges — i.e., taxes for the support of the colonial government — for the space of three years ensuing. 3. John Winthrop, Esq., with Thomas MINER and Samuel LOTHROP as assistants, were to have power as a court to decide all differences among the inhabitants under the value of forty shillings. 4. Uncas and his tribe were prohibited from setting any traps, but not from hunting and fishing within the bounds of the plantation. 5. The inhabitants were not allowed to monopolize the corn trade with the Indians in the river, which trade was to be left free to all in the united colonies. 7. Thomas MINER was appointed ” Military Sergeant in the Towne of Pequett,” with power to call forth and train the inhabitants. Old Town Mill New London Connecticut – Build to John Winthrop 1650, Burned down by Benedict Arnold, but restored and is open to visitors. John Winthrop was more than a skilled leader. 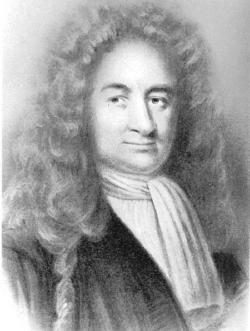 He was an avid chemist and practical scientist, famous for starting one of the first ironworks in Massachusetts (1633), for his interest in developing mines, and for his experiments in obtaining salt from sea water by evaporation. Trapp (2001), refers to John Winthrop, Jr. as an alchemist, who once collected an unusual rock from New London; he called this columbite. Nearly 200 years after, Charles Hatchett (1801) analyzed the specimen, to discover a new element called Columbium (Cb = #41) John had previously acquired some mineral rights in Connecticut, but in the 1650s, he obtained even more. 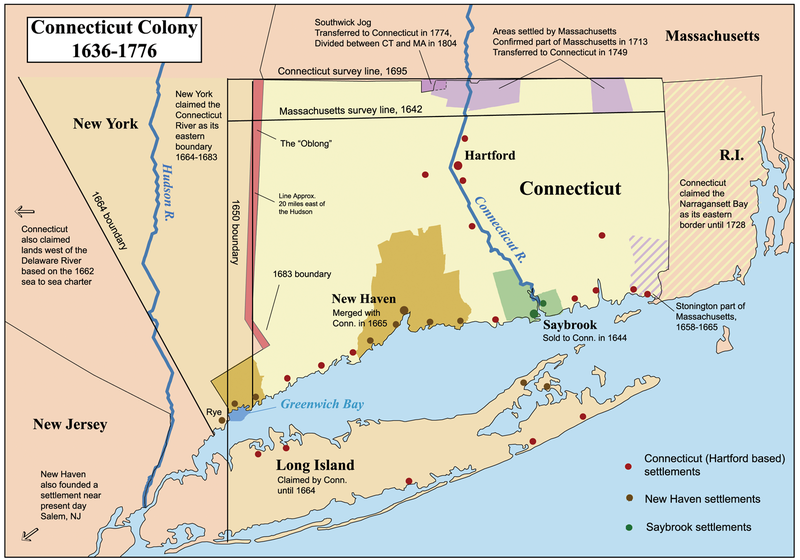 While the cost of exploration and development was his, the knowledge he gained about the deposits benefited the Colony of Connecticut. Charles Hatchett named element 41 Columbium (Cb), But in 1809, the English chemist William Hyde Wollaston wrongly concluded that columbium was identical to the element 73 tantalum, and the claims of discovery of Hattchet were refused. Heinrich Rose discovered that tantalite contained an element similar to tantalum and named it Niobium. It is estimated that out of 44,500 metric tons of niobium mined in 2006, 90% was used in the production of high-grade structural steel, followed by its use in superalloys.The use of niobium alloys for superconductors and in electronic components account only for a small share of the production. In addition to seeing patients, Winthrop corresponded through the colonial mails with patients throughout the New England colonies concerning a wide spectrum of medical problems. The most important mail route that carried Winthrop’s letters was the Boston Post Road, also called the King’s Highway, which went from New Amsterdam through costal Connecticut and through the Providence plantations to Boston. Using the colonial mails, he made diagnoses and prescribed treatments and medications. Winthrop’s papers, some of which are preserved in a special collection at Boston’s Countway Medical Library, contain mostly letters from all over New England asking for medical advice and treatment. These letters have been studied by historical scholars including Drs Oliver Wendell Holmes, W. R. Steiner, and T. E. Cone Jr, who have publications about the Winthrop papers that contain verbatim extracts from the letters. In most instances, Winthrop’s responses to these letters are not included in the papers. In the letters are descriptions of recognizable pediatric conditions including epidemic measles, a variety of rashes, convulsions, diarrhea and dehydration, jaundice, whooping cough (chincough), failure to thrive, and anencephaly. Some of the letters are particularly relevant to pediatrics today. Winthrop had a “sovereigne remedy” that he called “rubila,” the formulation of which he kept secret. Dr Oliver Wendell Holmes studied the Winthrop papers and found that rubila was mostly nitre (saltpeter) and lesser amounts of antimony. Rubila was colored red (rubified) to make it look different from plain salt or sugar. Winthrop believed that rubila was effective treatment for a variety of illnesses including “ measles, colics, headaches and sciatica and many other ailments.” However, he cautioned that to be effective rubila had to be given at the very beginning of an illness (or perhaps even better before the illness had begun). New London tried to lure him back, but in May of 1657 he was elected governor of the Connecticut Colony , and moved to Hartford. He could not be re-elected in 1658, as the one-term-only rule for governors was still in effect. That law was changed as of 1659. 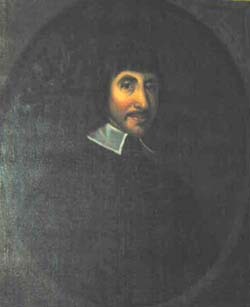 During 1658, John Winthrop served as Deputy Governor of the Colony of Connecticut. From 1659 to 1676, John Winthrop was always re-elected as governor of Connecticut Colony. He continued to be successful in governmental life because he was an excellent diplomat and very popular. His diplomatic charm was now about to help Connecticut. John Winthrop Jr by Amos Doolittle after John Trumbull — Mabel Brady Garvan Collection, Yale University Art Gallery, Yale University, New Haven, Conn.
King Phillip’s War had caused the Besides being Governor of Connecticut, he was also in 1675 one of the commissioners of the United Colonies of New England convened in Boston in the fall of 1675, and the deliberations went into the spring of 1676. Winthrop had attended, and was preparing to leave Boston at the end of March, when he caught a bad cold. His health quickly worsened, and on April 5, 1676, he died in Boston. He was buried in the King’s Chapel Burying-ground, beside his father, John Winthrop, Senior. There is a community called Winthrop in Deep River, CT, which also has a school named in his honor. New London also has a school named for Winthrop, located on the site where his house once stood. New London maintains a statue on Winthrop and has a street and an avenue named for him. 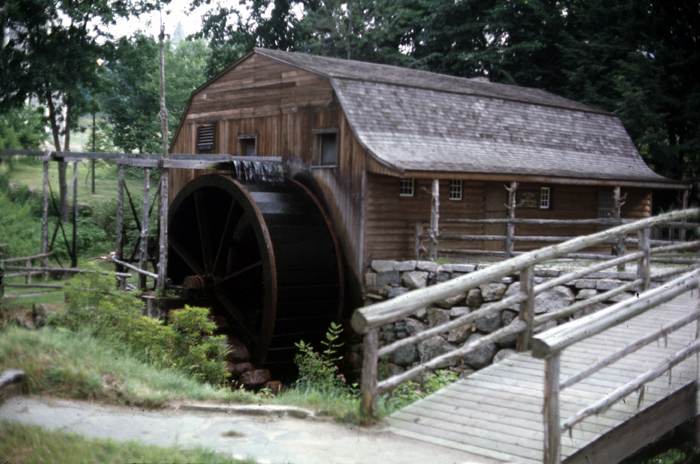 His original mill in New London is still standing and is open to visitors. 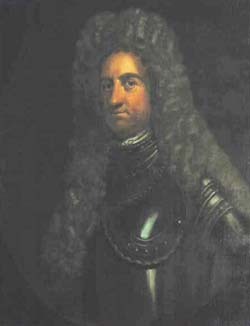 The governor of the Colony of Connecticut from 1698 to 1707. He was sent to Harvard, but failed the entrance examination. In 1658 he went to England, volunteering to serve in the army of the future King Charles II. When Richard Cromwell was removed and the monarchy restored, the army was disbanded. Winthrop, however, remained in England and was still in London when his father presented his petition for the establishment of a Connecticut colony. Winthrop was buried in the King’s Chapel Burying Ground in Boston, Mass. His funeral service was conducted by Cotton Mather, who called his sermon there Winthropi justa. Wait was a colonial magistrate, military officer, and politician of New England. Named Waitstill at birth, he preferred the shortened name “Wait”. He was chief judge of the Massachusetts superior court (the highest court in the Province of Massachusetts Bay), and was a long-time councilor and contender for the governorship of Massachusetts. During King Philip’s War in the 1670s and King William’s War in the 1690s he led the Massachusetts provincial militia. Politically populist, he worked against royal governors, especially Joseph Dudley, and sought the restoration of the first Massachusetts charter. In 1692 he was appointed by Governor William Phips as one of the magistrates of the Court of Oyer and Terminer that heard the Salem witch trials. The judges were John Hathorne, Nathaniel Saltonstall, Bartholomew Gedney, Peter Sergeant, Samuel Sewall, Waitstill Winthrop and Lieutenant Governor William Stoughton..
Wait’s son John Winthrop F.R.S., (1681-1747) married Ann Dudley, daughter of his father’s enemy Joseph Dudley and granddaughter of Thomas Dudley, both governors of Massachusetts, one of a number of unions between the two families. vii. Martha Winthrop b. 1648 in New London, New London, CT; d. 27 Sep 1712 Charlestown, Middlesex, Massl m. Richard Wharton 1675 in Charlestown, Middlesex, Mass. This entry was posted in 14th Generation, Artistic Representation, College Graduate, Historical Monument, Historical Site, Line - Miller, Line - Shaw, Pioneer, Place Names, Public Office, Storied, Veteran, Violent Death, Wikipedia Famous, Witch Trials. Bookmark the permalink. Confirms information I have been collecting….Great…….Grandparents in Lake, Reade, Cook, and Winthrop families and also through Downing and Culver families.